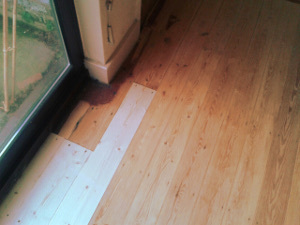 Office, Home Building & Planning Lambeth SE | RDA Cleaning & Maintenance Ltd. Finally you can get that kitchen or children's room remodeled by using our quality builders Lambeth SE services. To get started call 020 3404 1646. Contact us at any time, get a quote over the phone or by using our live chat. Each month we have new deals and offers that can save you up to 25%, get a discount by booking more than one of our services at a time. Exterior work includes the painting of façades, the removal and re-application of outdoor paint, gutter repair, roof tile repair, outdoor brick maintenance and everything to keep the exterior of your home or office looking as pristine as you’d like it to be. We bring all of the necessary equipment and materials, however, exterior work is limited by the weather. Keep this in mind when booking this service. Booking professional builders service in Lambeth SE Get the best builders in Lambeth SE, call 020 3404 1646 and our customer rep team will do their best to accommodate your scheduling needs. With our flexible booking schedule you can get a project started even on weekends, without any surcharges or additional fees for weekend or holiday work. Get the best in home or office renovation, call 020 3404 1646 today, book more than one service at once and get a discount on your bill. As a professionl builders company in Lambeth SE we are there for you 365 days per year. Contact us on this phone number 020 3404 1646 and get further information. Ask for a free quote right away!